Very vibrant and colorful! 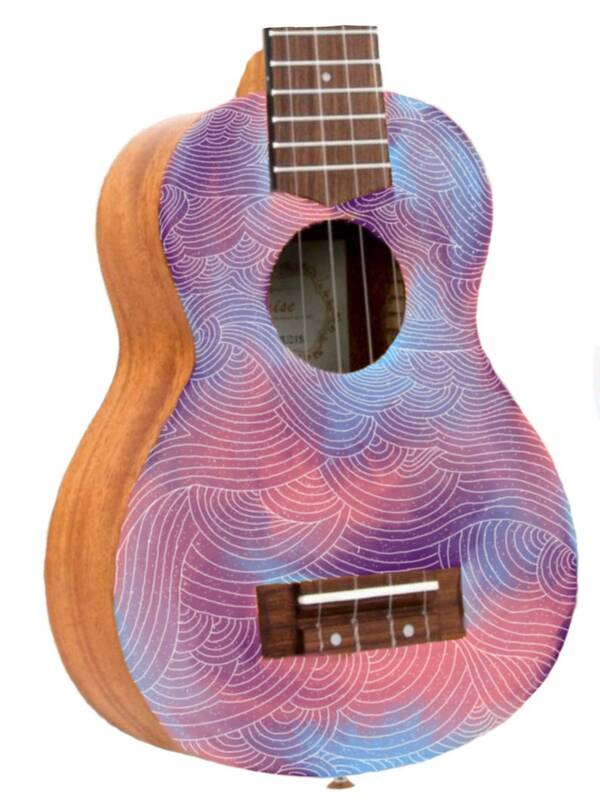 Wood color ukulele with pastel galaxy hand painted on the front and white line pattern. 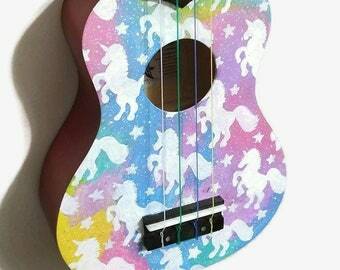 There is This ukulele is made to order, each on is unique in its own way. This is a digital rendering of the design that will be painted. 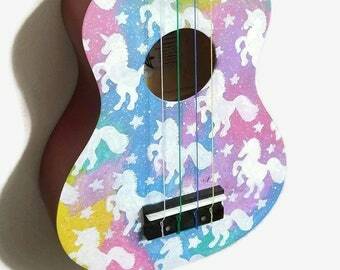 Soprano, Concert, Tenor, Baritone and Acoustic or Acoustic/Electric Guitars available.